Indian unicorns such as Flipkart and Ola are struggling to raise fresh funds at valuations higher than or equal their last funding round as investors see them ceding market share to global rivals such as Amazon and Uber in the country. Both Uber and Amazon are flush with funds and are accused of receiving more favourable treatment by the local authorities, as they invest aggressively to dominate India, the last large open market globally. 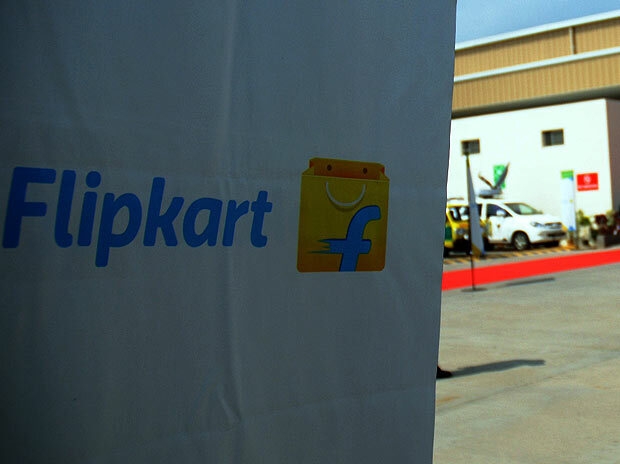 Flipkart, the most valuable Indian startup and largest e-commerce marketplace in the country, has seen its value erode from a peak of $15.2 billion to as low as $9 billion. Analysts attribute the drop in value to missteps in running the company, but also to the growing competition from Amazon, which is running up higher losses to grow market share. India's other hot startup, Ola, too recently suffered a markdown in value by its largest investor Softbank, which attributed close to a quarter billion dollar loss to the drop in valuations of Snapdeal and Ola. Ola was last valued at $ 5 billion, but is looking at raising funds at 40 per cent less at $ 3 billion. "Amazon and Uber are well-funded internationally and have no problem bring in funds as and when required. At no point in time are they being valued with respect to what's happening in India, but in the case of Flipkart and Ola they need to raise money periodically," said Harminder Sahni, Founder and Managing Director at Wazir Advisors. "I don't think they can survive for too long if they are going to be egoistic about not raising money at a lower valuation. You can't be smart and say you won't do it, because then your company will disappear,"
Both Indian firms have been in talks with investors for nearly a year to raise fresh funds of as much as $ 1 billion, but with little success so far. While Flipkart, which now claims it be a bigger and mature company than a startup, is looking at hiring an investment banker to pitch itself to newer investors, Ola, which is being pushed to the wall by Uber, is resigned to accept fresh funds at 40 per cent lower valuation or at $3 billion from investors such as Softbank. A deal is yet to be finalised. "The only option for them is to innovate and go back to their bootstrapping days. The alternate of succumbing to raising more money at lower valuations may put these companies in a vicious downward spiral, as current investors would feel cheated and end up extracting a heavy price in terms of lesser degrees of latitude that the promoters will enjoy going forward," says D.V.R. Seshadri, Clinical Full Professor at the Indian School of Business in Hyderabad. Both Ola and Flipkart need cash to battle rivals in the digital economy which has historically favoured just one player to control a disproportionate share of the market. This is true in the case of both e-commerce and ride hailing where the company which can continue to subsidise products and services for longer to customers and create more valuable for suppliers will win. "In my mind it's not a choice at all. Survival will always take precedence over valuation. If you survive, you might be able to build that valuation back, but if you try to hold out to get the right valuation, you might die in the process," said Devangshu Dutta, Chief Executive at management consulting firm Third Eyesight. "The fact is that e-commerce has been in the past four to five years a business which is characterised by attrition. It's essentially to raise more money so you can outlast the competition."